Ask questions and talk with industry members about financing for film, different funding platforms, opportunities and ways to get your project off the ground. Writer, filmmaker, and author of Crowdfunding for Filmmakers, published by Michael Wiese Productions. Film, Web & Video Manager at Indiegogo. Raised right on coffee, comics and red wine. @Trigonis on Twitter. Administers McKnight Foundation film funding programs through IFP Minnesota: the New Media Project Grant and the McKnight Media Arts Fellowships. Writes for the Twin Cities Daily Planet and the Flyway Film Festival. Used to be a documentary filmmaker, but it got too annoying. Scilla Andreen is the CEO and co-founder of IndieFlix, an online streaming service dedicated to independent film and filmmakers. She is also founder of the IndieFlix Foundation, creator of the Film Festival in a Box movie game, and the Tag Now, Watch Later IndieFlix app. In addition, she is an award-winning producer and Emmy-nominated costume designer. Scilla has deep roots in the entertainment industry and is a popular speaker, juror and tireless champion of independent film. In 2004 Scilla co-­founded IndieFlix.com, an independent film distribution and discovery site founded on the principles of community, promotion, syndication and transparency. IndieFlix filmmakers keep their rights and participate in multiple revenue streams direct from IndieFlix.com and via third party platforms including Cable, VOD, iTunes, Hulu, Roku and Xbox. 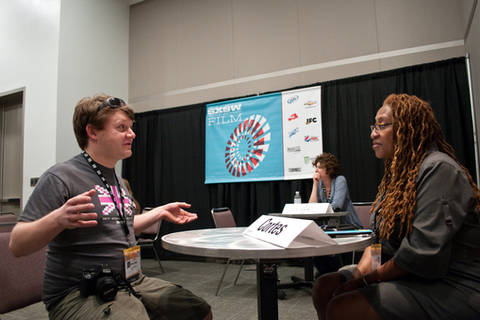 The IndieFlix library of film festival titles stands at 4,000+ titles and growing.